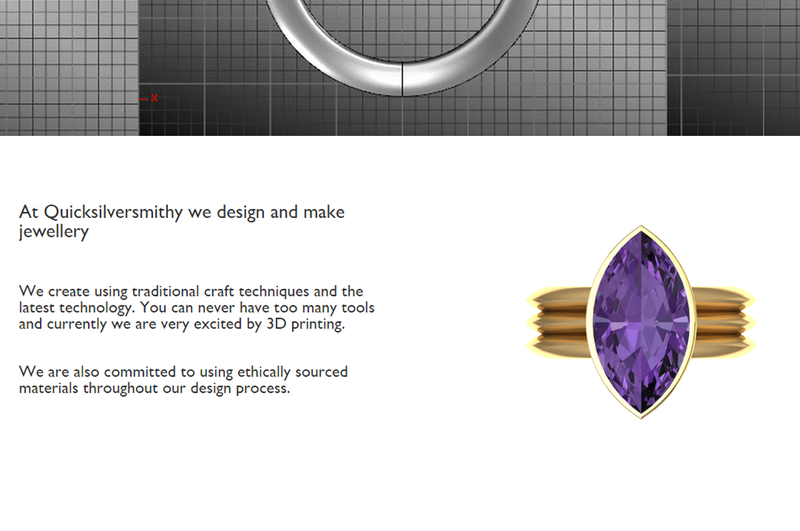 Quicksilver Smithy is an exciting local business using traditional craft techniques alongside 3D printing methods to create unique and stylish items of jewellery. Unsurprisingly, our client was quite tech savvy and had been using a free website builder to create an online presence for the business. Once the business began to grow, they realised that they had reached a point where they would benefit from more considered website design and build, as long as it was one where they could still retain control over the content. They were also looking for a company with branding expertise to solidify an identity, a style and a logo that really emphasised the creative and contemporary characteristics of their business. For the main visual element of the logo, we developed a silver ‘Q’ design that replicated the look of molten metal, a fluid, creative and contemporary shape that was juxtaposed with the classic typography used for the company name to emphasise a mix of traditional craft techniques alongside innovative production methods. 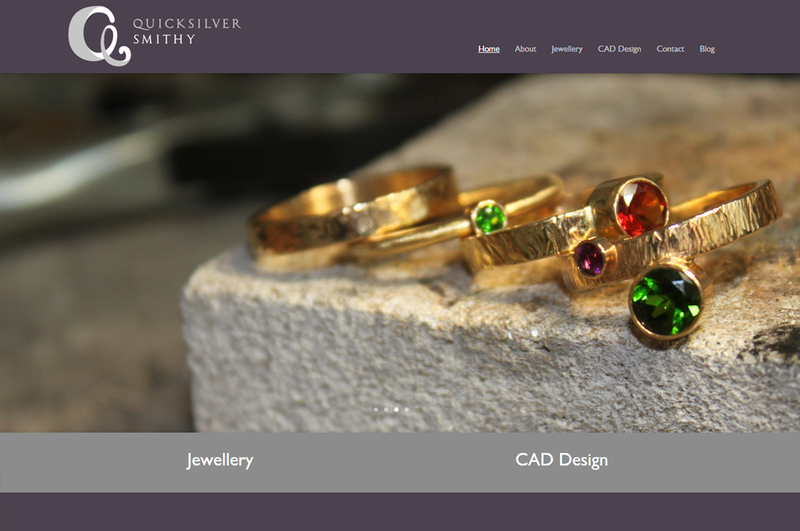 For the Quicksilver Smithy website, we created a user friendly layout, with images advertising the product and design methods given most prominence and spanning the full width of the pages. 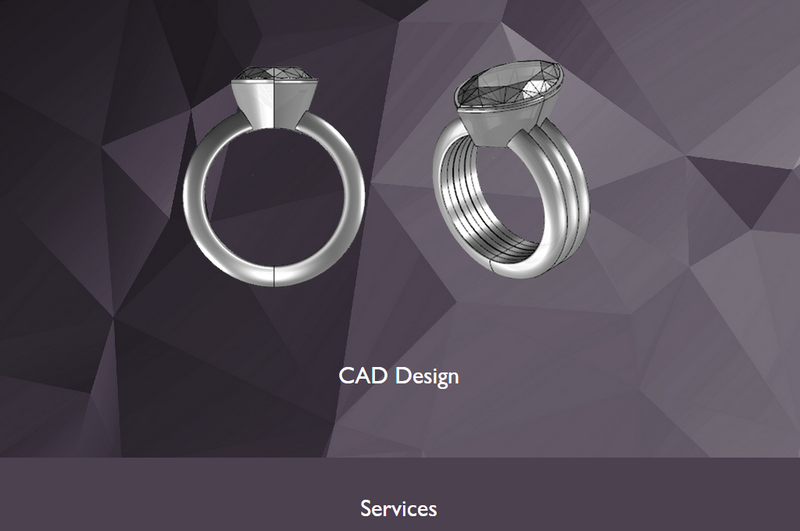 Although jewellery is the main focus of the business, they wanted a website that could also represent other CAD design services which they provide to companies looking for help with prototyping models and production. So we designed a website that was split to represent this, with clear navigation to each of these special services allowing the user easy access to relevant information and obvious means of contact in relation to both parts of the business. 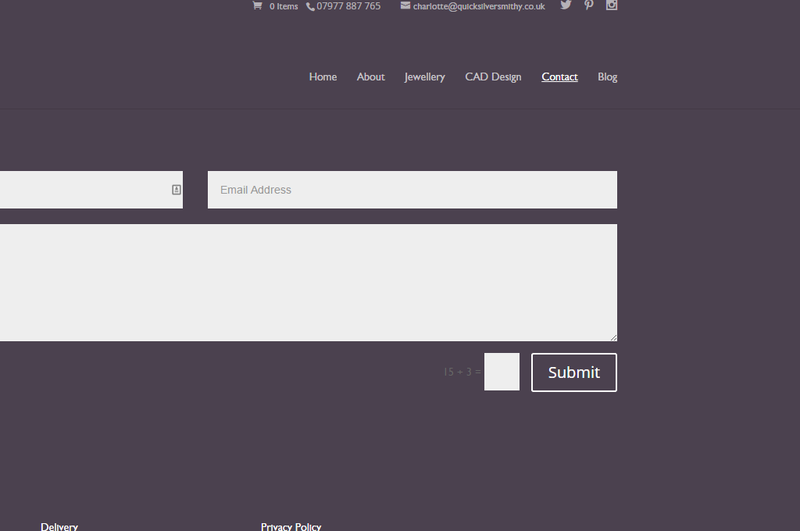 We created the website in WordPress to allow our client as much flexibility with their content as possible. Alongside the branding and website, we also created business cards which complemented the style developed for Quicksilver Smithy.